1. 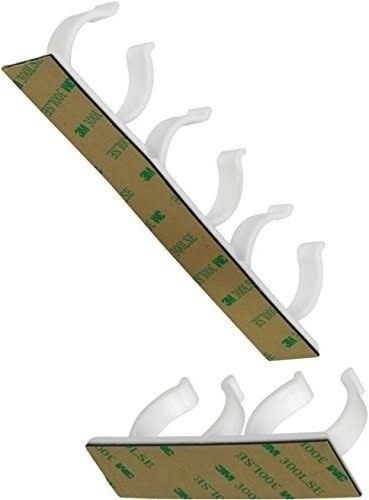 A pack of three five-tier pants hangers with a non-slip coating to maximize every inch of precious closet rod space. Get the three-pack on Amazon for $21.99. 2. 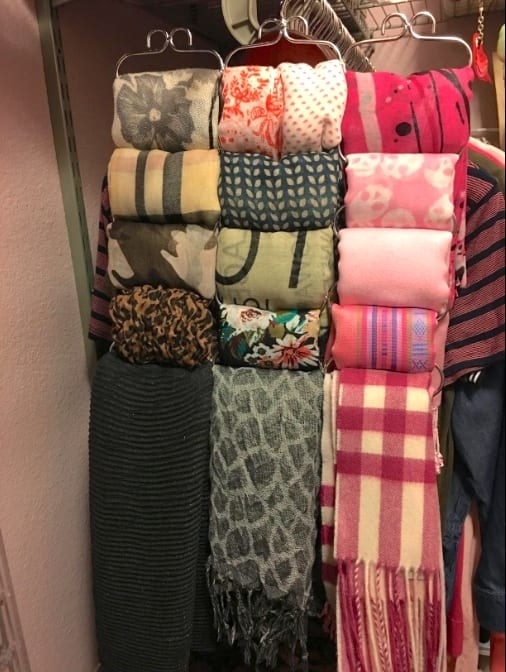 A 23-loop scarf hanger so you no longer have to dig through your messy pile of wrinkled scarves each and every morning. One reviewer also notes that it's great for kids leggings, too! Get it on Amazon for $10.87. 3. 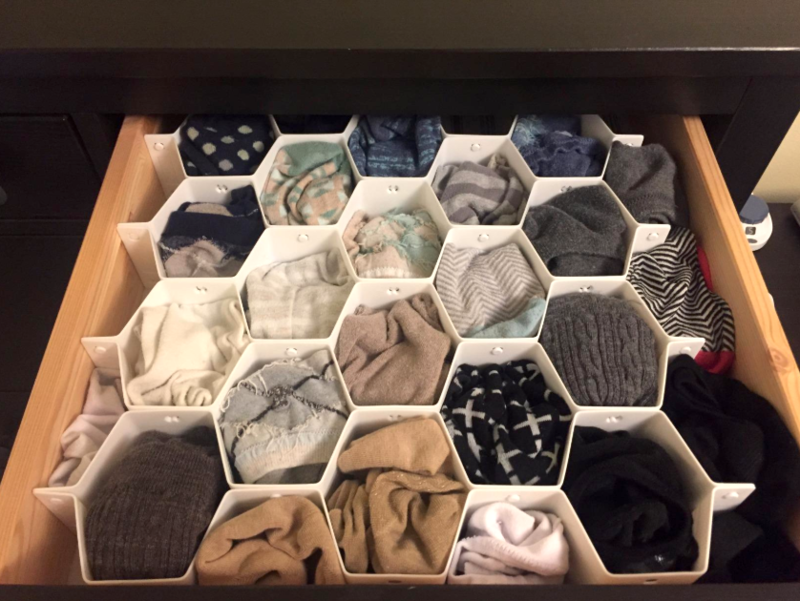 An adjustable honeycomb drawer sorter that will basically force you to tame your wild sock drawer, because it's so easy to just tuck each pair of in its little zone you can't not use it. 4. 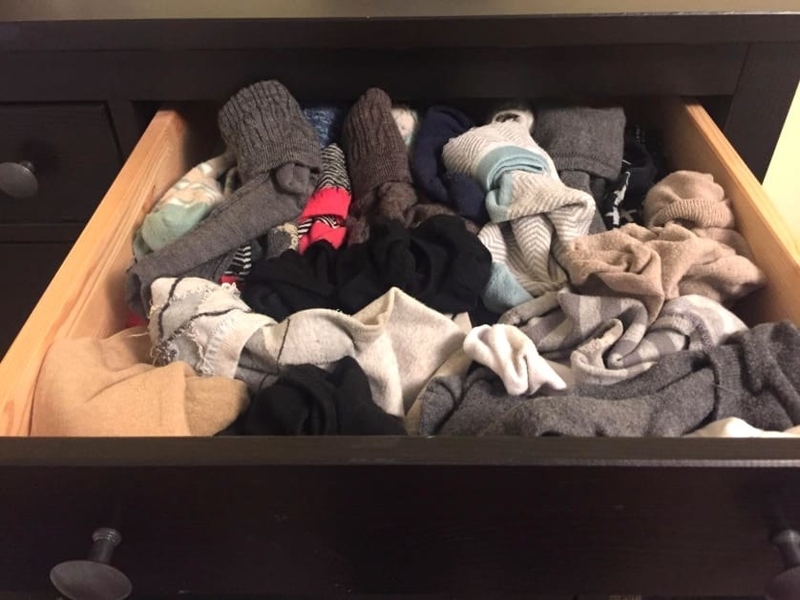 Or a set of four drawer organizers because you store more than just socks in your drawers, and everything deserves a designated place of its own. Get the set of four on Amazon for $13.97. 5. An over-the-cabinet door basket so useful, you'll want to buy two — using one for cutting boards and one to hold your foil, plastic wrap, and parchment paper. And if you don't like hanging stuff over your cabinet doors, you can easily mount it with a few screws. 6. 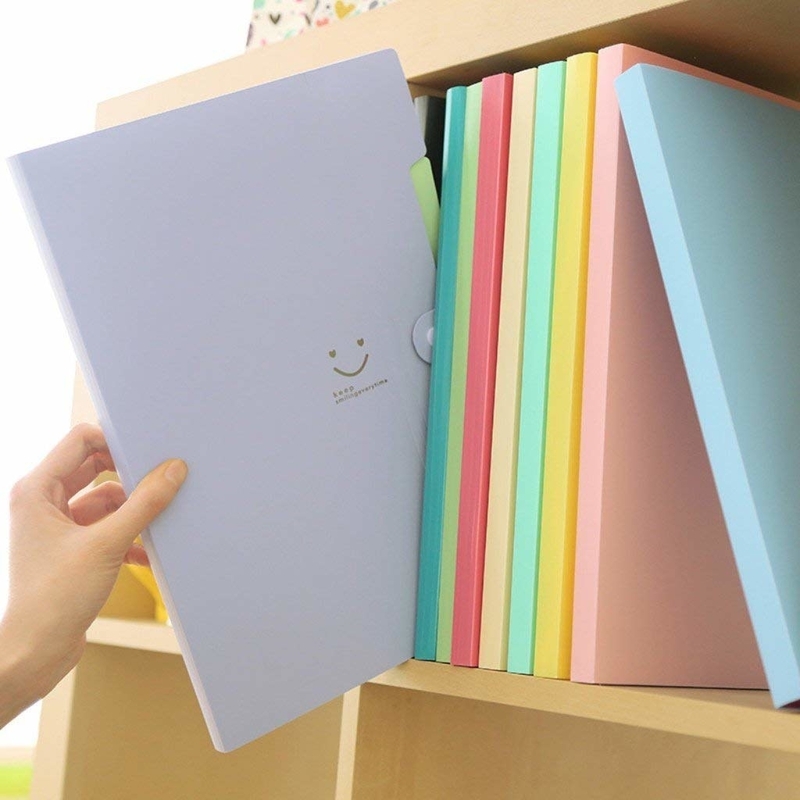 A pastel expanding folio — whatever papers you need to keep in order, from bills to finals notes, this four-pocket pal will be more than happy to do it. 7. 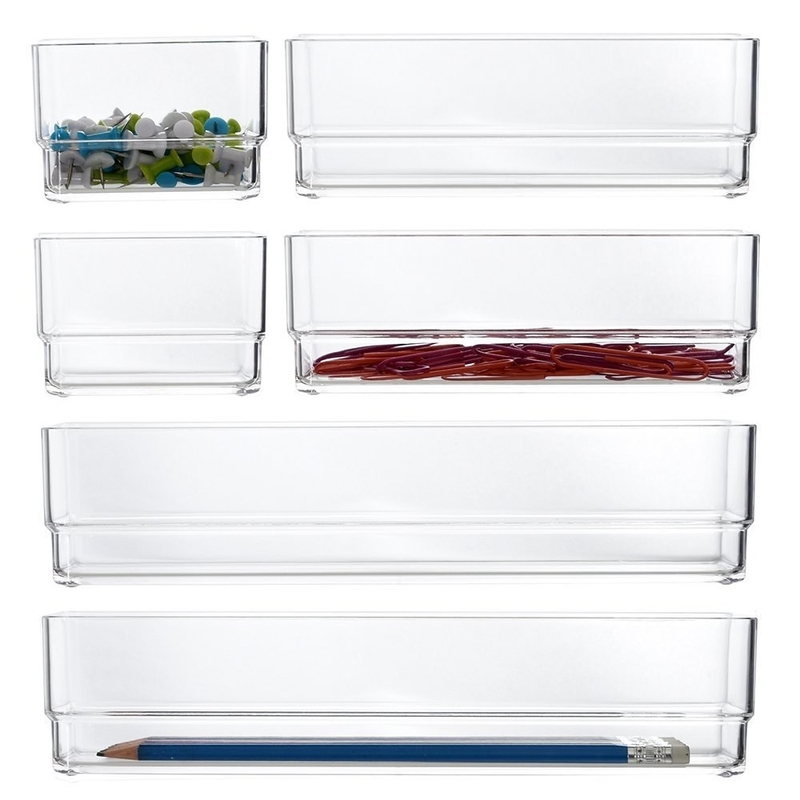 A silverware sorter that takes up half the space of a traditional organizer, so you can use the rest of the drawer to store so much more. Get it on Amazon for $9.24 (also available for knives). 8. A shoe rack to take advantage of all your vertical space, whether you like to store your shoes in your closet, in the mudroom, or just by your door. Promising review: "Sturdy, lightweight, and simple to piece together. From opening the box to putting it in my closet it took about 20 minutes, and I was singing and dancing to music. 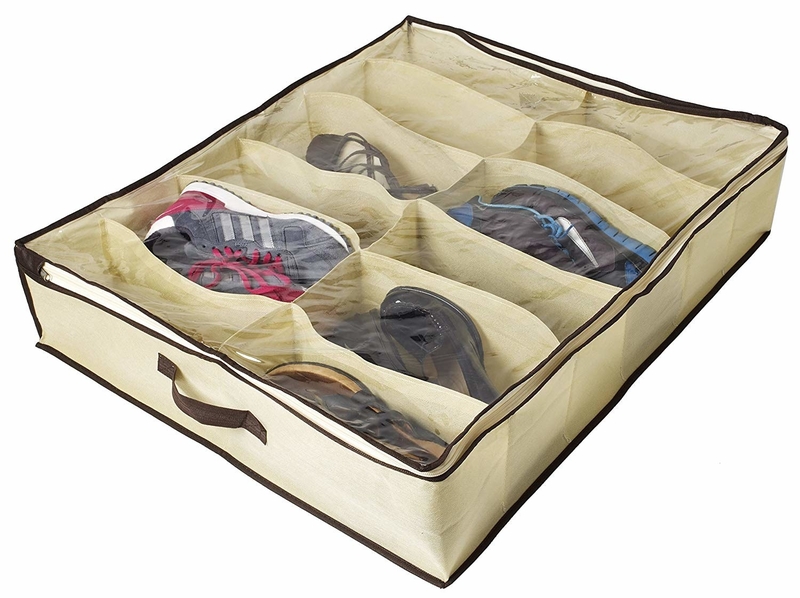 It fit into my closet with ease and would definitely hold 24 pairs of shoes. I don't have 24 pairs anymore so this has given me a reason to go shopping! Get the four-tier for $31.03 or the two-tier for $18.94, both on Amazon. 9. 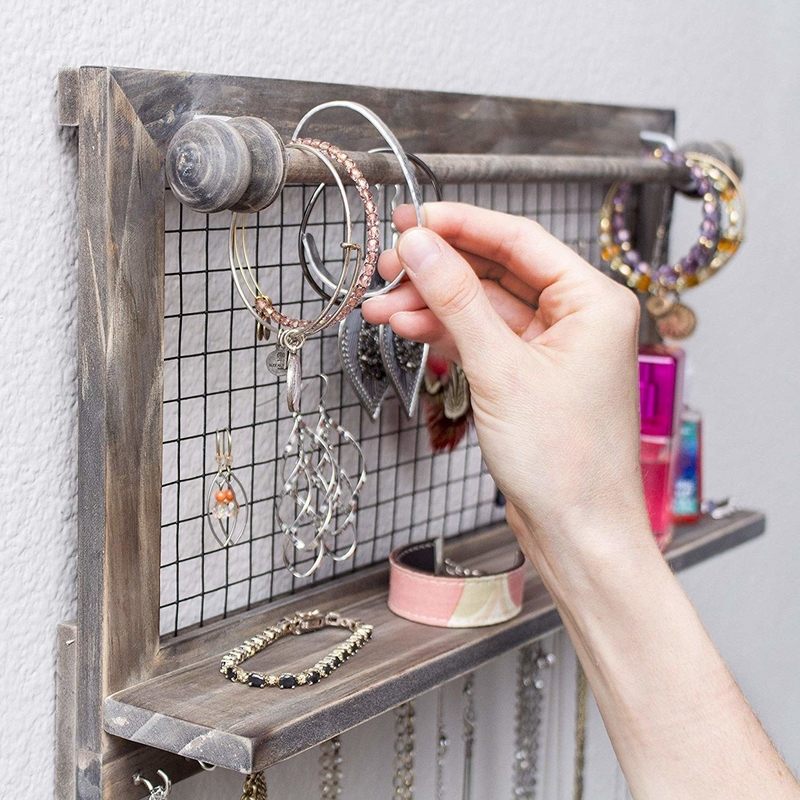 A jewelry shelf for your closet that's both decorative and incredibly functional: it features a mesh grid for hooking earrings, a removable bar for storing bracelets, a small shelf for setting miscellaneous items, and 16 hooks for hanging necklaces. 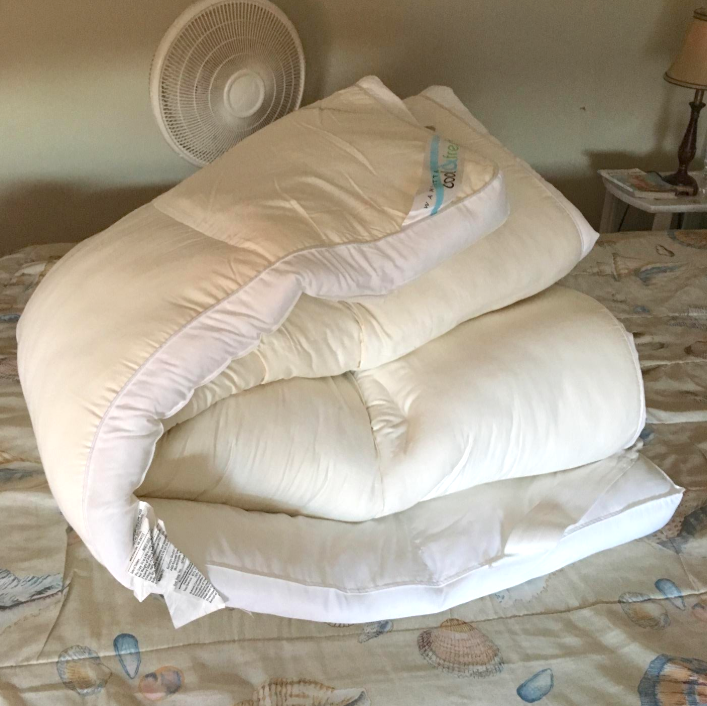 Promising review: "I LOVE this product! For years my jewelry has been dumped into one jewelry organizer "box" and yes, it has compartments, but after a while as new jewelry gets added in, it looked like a mess and it didn't have a good visibility on all the pieces I owned, so I never wore many of them. 10. 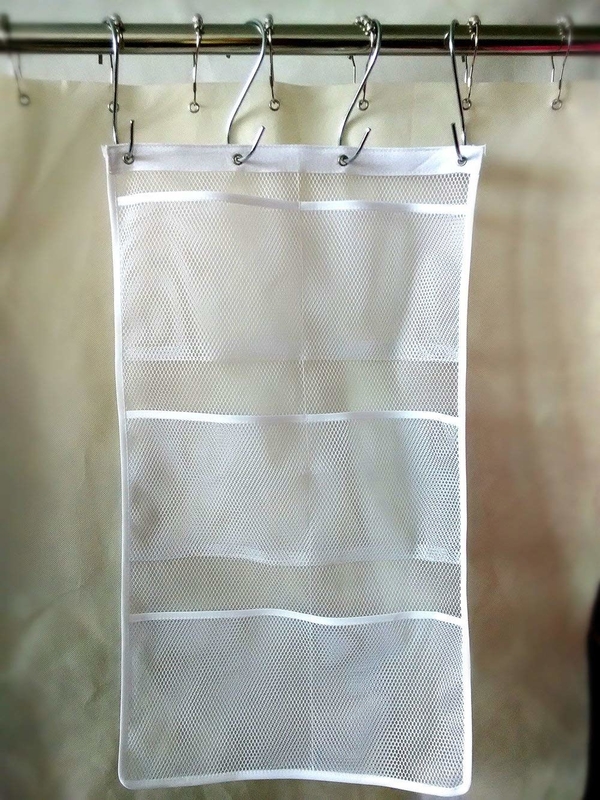 A six-pocket mesh shower organizer you hang on your existing curtain rings for seamless storage — the caddy won't rust, and the corners of your tub will stay clear so they're easy to clean. Get it on Amazon for $8.99 (five colors). 11. 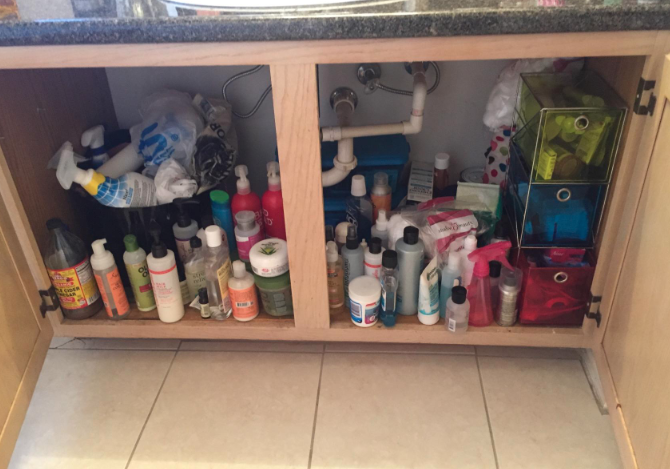 An under-cabinet drawer with a shelf on top that doubles up your usable space, so you have easy access to everything in the drawer *and* everything on top of it. 12. 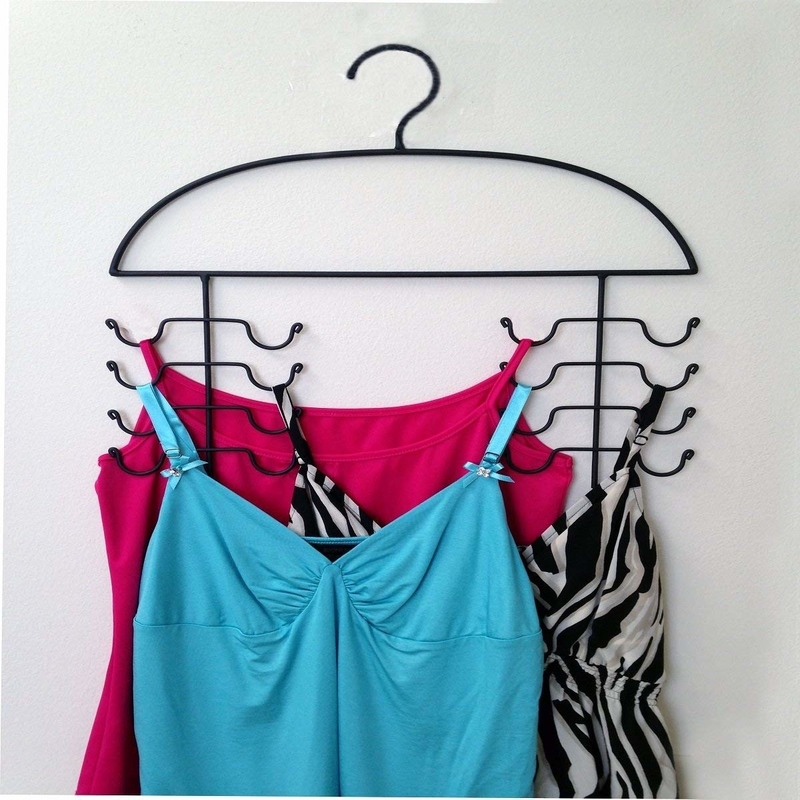 A set of tank top hangers so willing to support your love of camis and tanks that you'll be able to keep every single one you own but *still* save several feet of space on your closet rod, if you're collection's big enough. Get a set of three on Amazon for $12.99. 13. 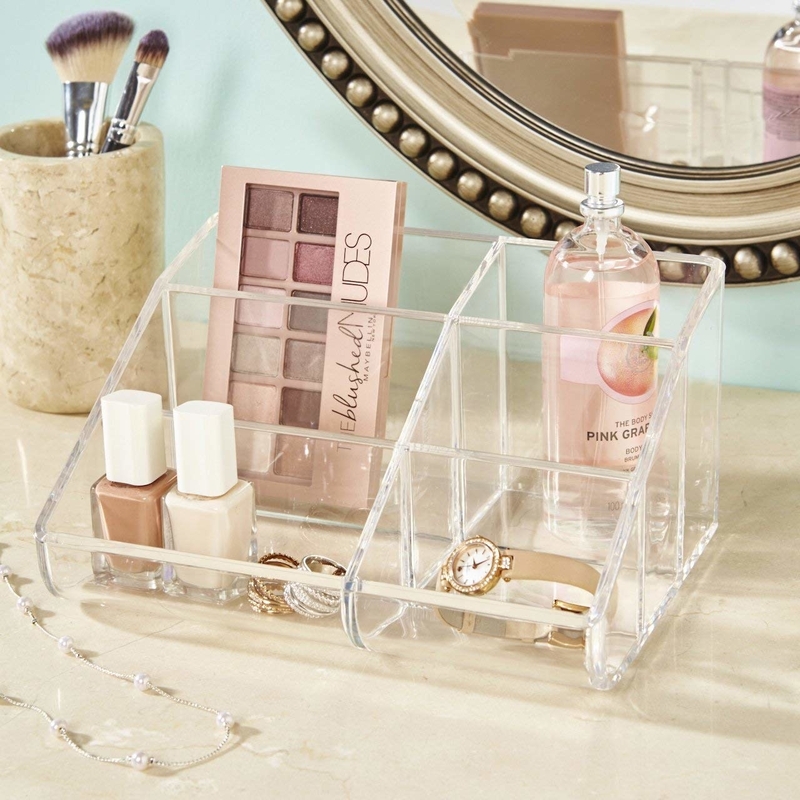 A tiered acrylic organizer that will let you pull your makeup out of that cluttered bag or drawer and instead neatly display all the products you use every day conveniently on your counter. 14. 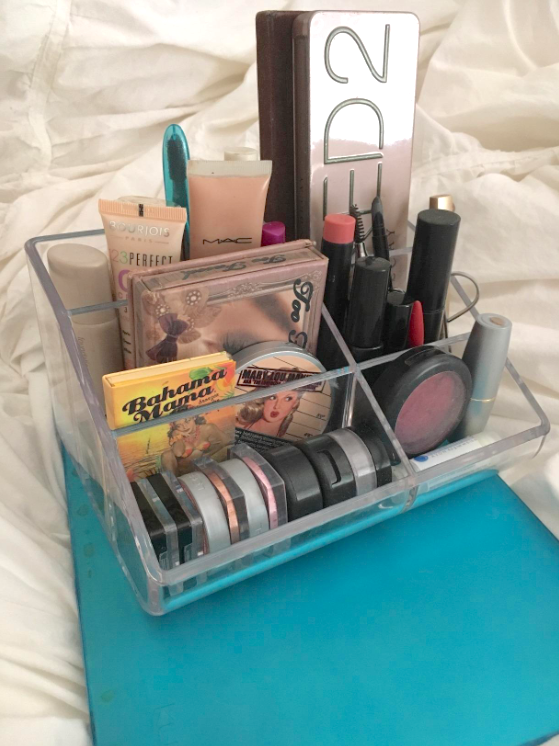 And a stacked two-piece organizer for your jewelry or any overflow products (looking at you, lipstick collection) that won't fit in the other sorter. This way, you can have all of your favorite lip color ~options~ out — which just might mean you'll wear them all more often. 15. 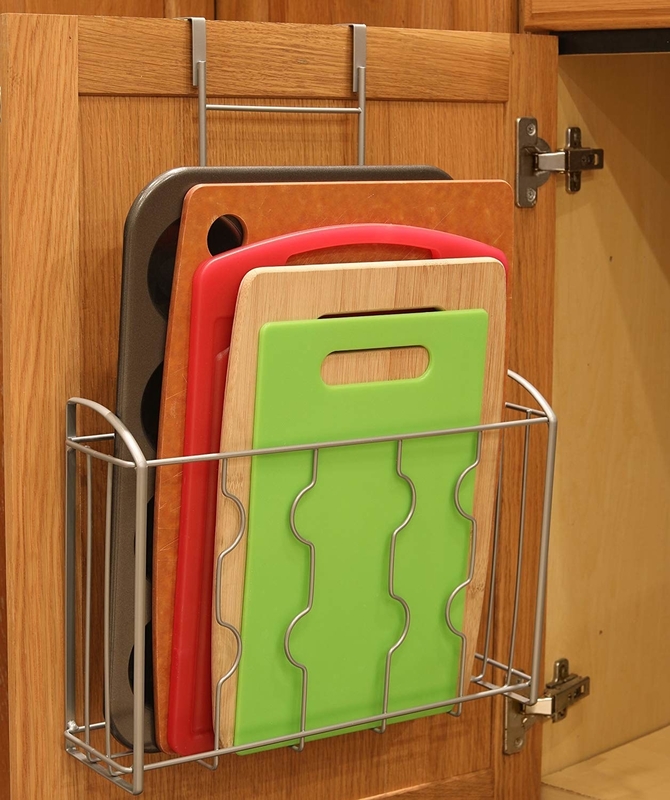 A five-piece kitchen cabinet organizer set to optimize every square inch of storage space by doubling up on shelves, stacking pot lids neatly, and turning previously non-functional doors into something that's even more worth having. 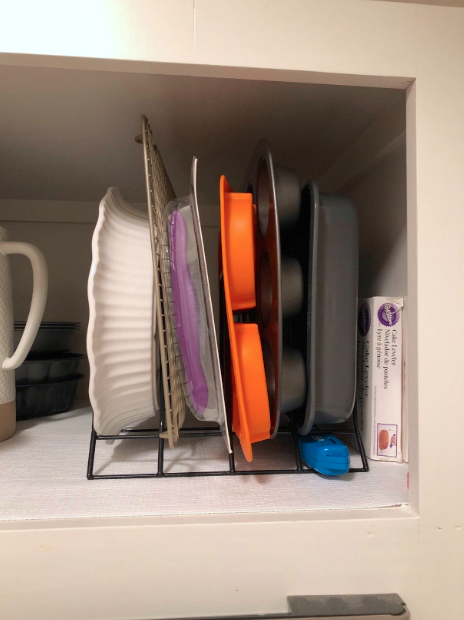 It comes with everything pictured here: three sizes of helper shelves that let you use every inch of vertical space, an upright rack for pot and pan lids and baking sheets, and a spice rack and a wrap rack you can mount to your doors for easy access. 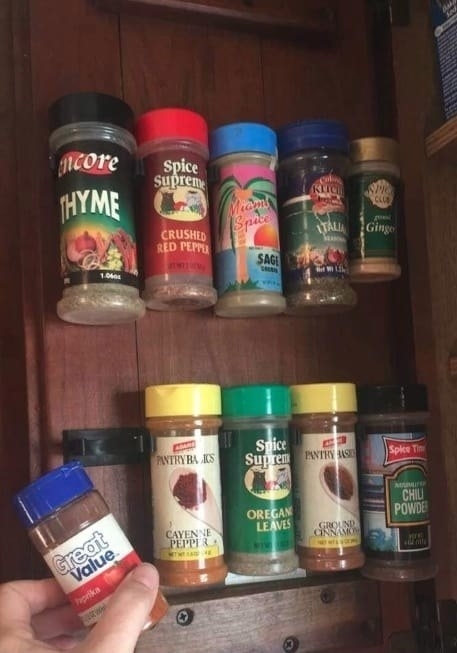 Some reviewers even use it to transform their plastic container storage — lids fit perfectly in the spice and wrap racks. Get the set on Amazon for $18.67. 16. 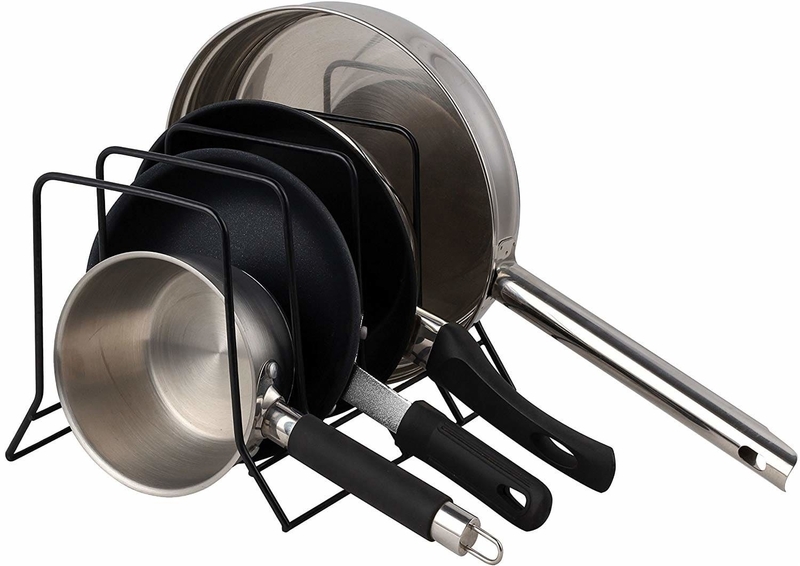 An extra pan rack so you can you use the one that comes with the kit for lids, but this one to neatly store your baking sheets, casserole pans, and pie dishes (or just regular pans). 17. A clip-in mop and broom organizer that can turn any 17-inch section of wall into an impeccable cleaning closet the moment you hang it up. 18. A key and mail drop-zone caddy so when you're late to work already, you don't have to search your entire house for your car keys or the birthday card you've been meaning to mail your mom. Promising review: "Perfect!! It comes with screws and anchors, but I hung it up with Command Strips to avoid holes in the wall of our rental. It stays up great. 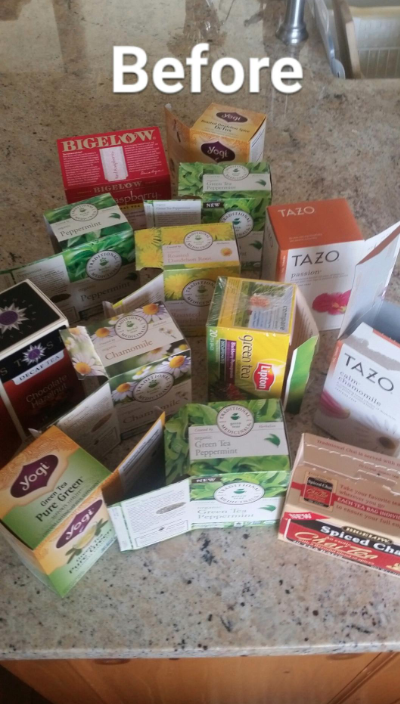 It's like one-inch shorter than some of the ads we get in the mail, but hey it's all paper. It bends to fit! 19. 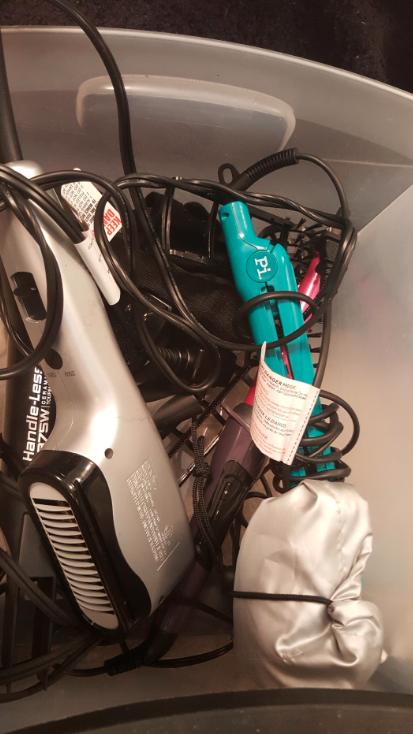 A storage basket that hangs over your bathroom cabinet door becuase your hair dryer, straightener, and favorite curling irons don't deserve to be constantly tangled together in your drawer anymore. 20. 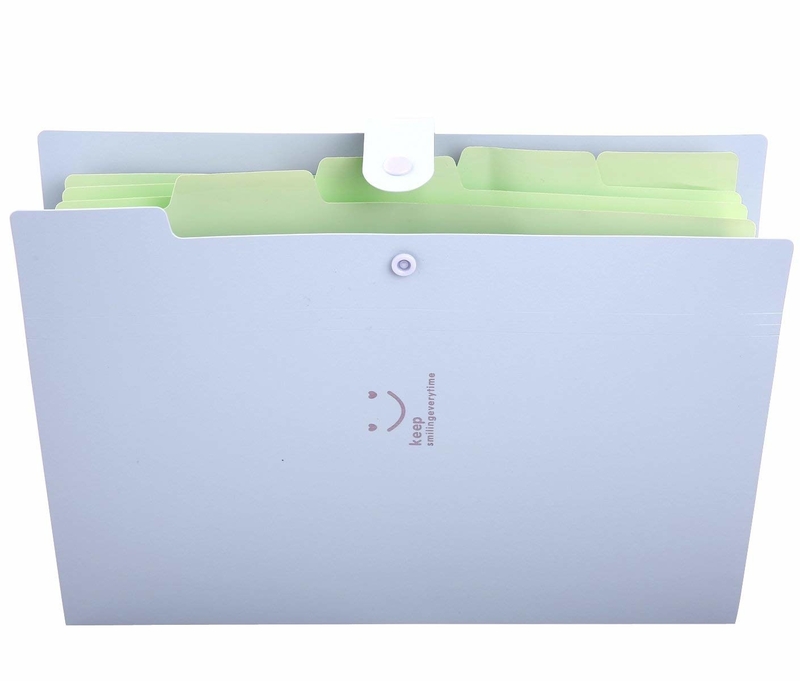 A cascading wall organizer you can simply hang on a hook to make all of your most important papers and bills easy to access, then quickly fold up to easily take with you or stash away. 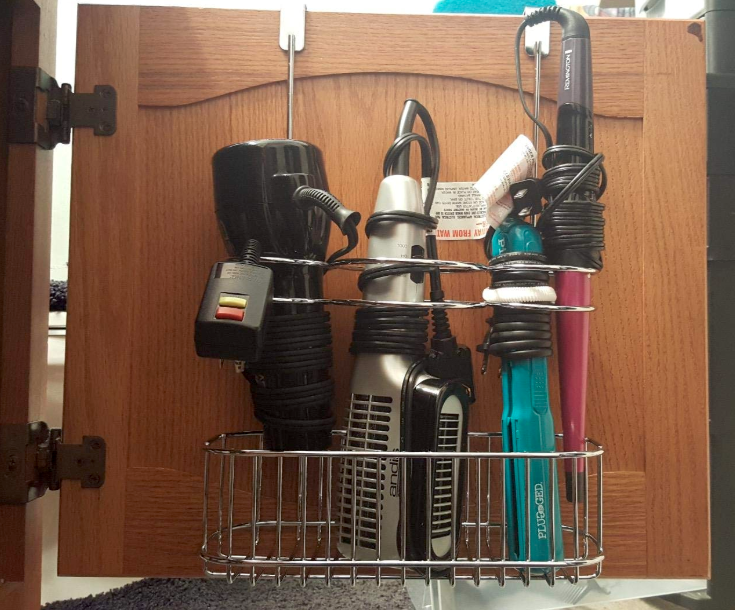 Promising review: "I purchased this to use as a part of our family's kitchen "command center"; this is in a highly visible area of our house so I wanted something that was functional, low-profile, and not an eyesore. 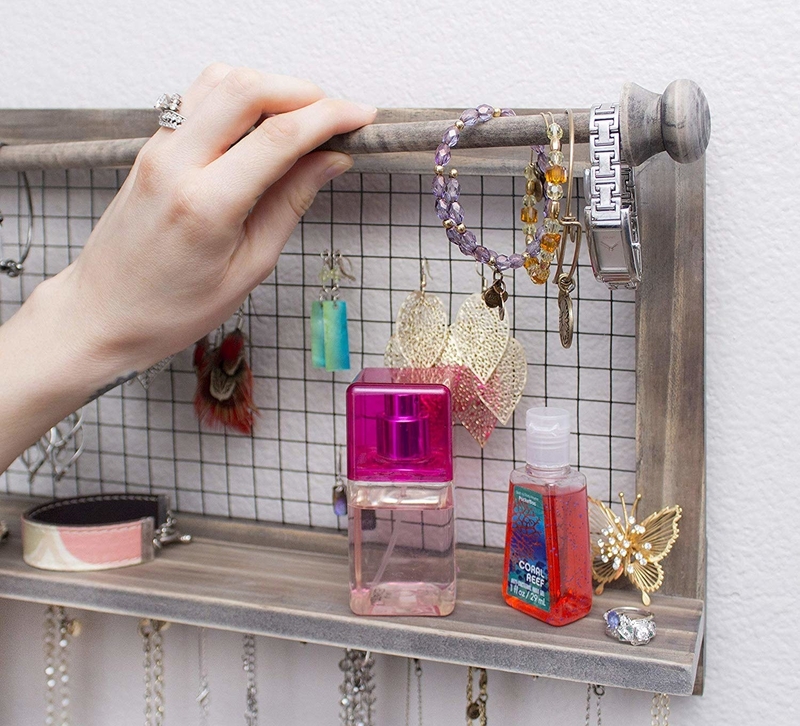 This organizer is PERFECT. There are enough pockets for each of our four family members, plus a few more that I've designated for bills and other correspondence. It helps keep the paper clutter off the counters and easily accessible for each of us. I love the clear front pocket where I keep my second grader's "specials" calendar so he can easily see whether he has PE, art, music, or computer lab on any given school day. I like the bright colors; they help to liven up my kitchen but aren't at all tacky. Each folder is removable so the colors can go in any order you want. 21. A gift wrap organizer because once the holidays are over, you're gonna need a place to neatly stash all the leftover paper to save for next year. Be sure to check the lengths of your wrapping paper rolls before you order, though; some reviewers say theirs didn't quite fit. 22. A set of six fridge bins to help motivate you to get your meal prep on, or at least help everyone else actually put ingredients away in the proper place. 23. An over-the-door pantry rack that's like instantly conjuring extra storage space out of nowhere the moment you hang it up. 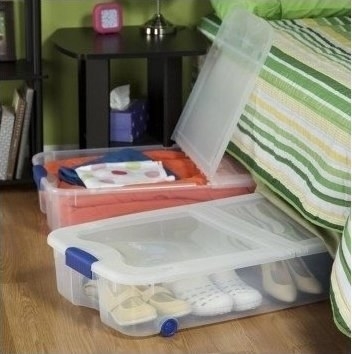 Of course, it works on all kinds of doors, like the ones in the laundry room, linen closet, and garage — almost anywhere you need extra storage for little things. It also has the option of mounting directly to the door. 24. 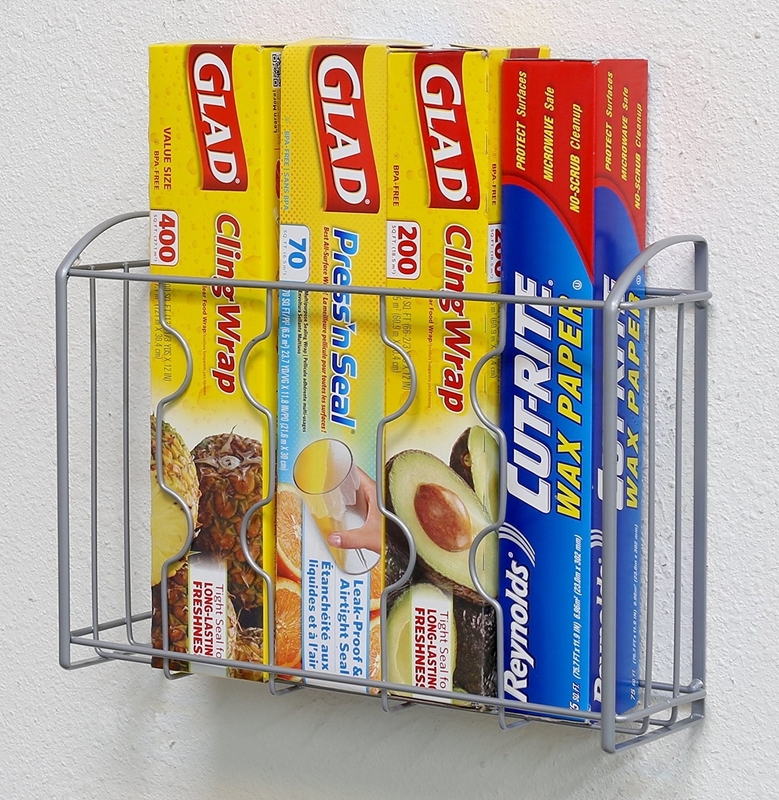 A stackable can rack — it's tilted at an angle, so the cans roll toward the front, and you can always see exactly what you have before you go to the store. It holds up to 36 cans without batting an eye. Promising review: "I ordered two and now I am going to come back and get two more because they are incredible. You can adjust the bars so you can use it for small cans like tuna or little cat food, or whatever. 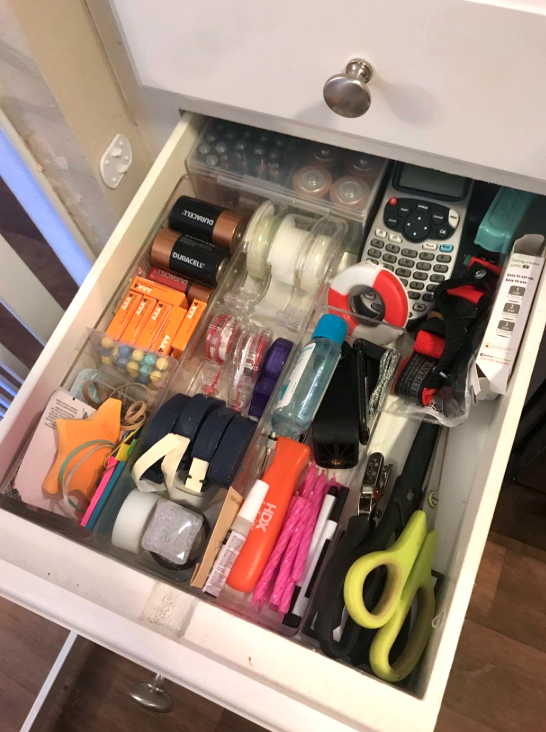 I only used a couple of the dividers because they just kind of stay organized without needing them, but it takes a few seconds to put together. Get one on Amazon for $19.97. 25. 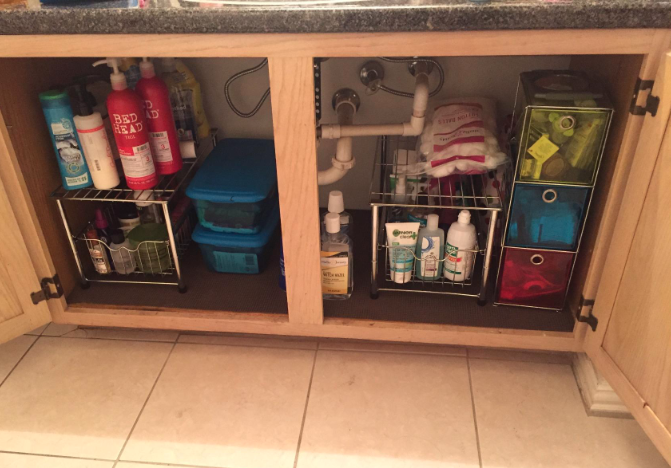 A versatile four-shelf unit you can enlist to organize bins in the garage, extra appliances in the kitchen, or your bulk household supply buys in the laundry room. Promising review: "I was looking for additional shelf space for my smaller kitchen appliances and found this item. It took less than ten minutes to put together and is very sturdy. I especially like that you can adjust the bottom of the unit (my tile floor is somewhat uneven and changing one side made it stop wobbling). This was just what I was looking for!" —Victoria S.
26. 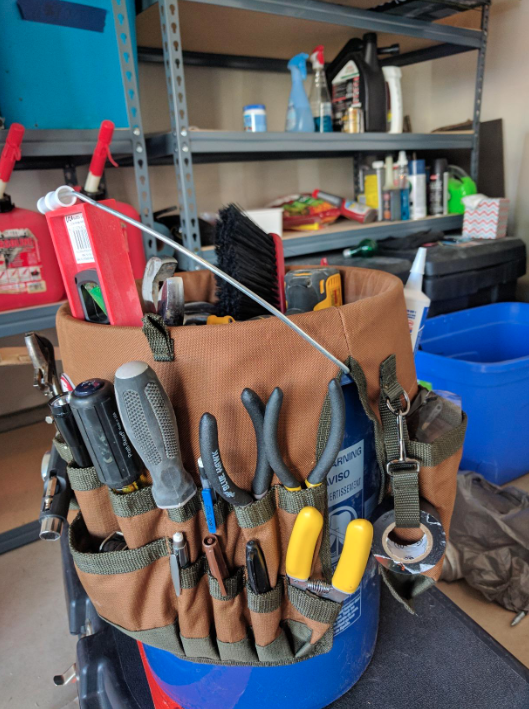 A tool organizer that slips right over a standard five-gallon bucket to guarantee you'll always have the stuff you need for any given project close at hand. It has 30 different pockets in varying sizes, including some on the inside. Get it on Amazon for $12.17. 27. 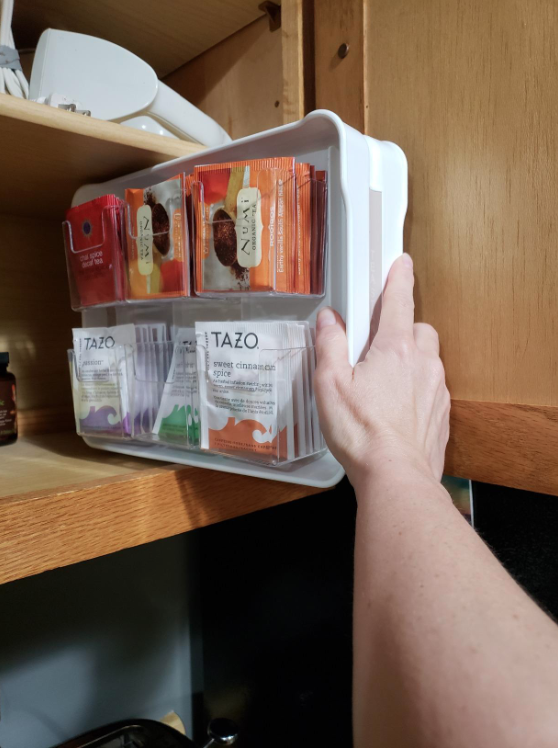 A two-sided tea caddy — it holds over 100 tea bags at a time, meaning you can ditch the piles of boxes to free up tons of cabinet or shelf space. Get it on Amazon for $23.33. 28. A set of 30 adhesive spice grips because every kitchen's different, and these let you set up a spice rack wherever works best in *yours*. Besides the inside of a cabinet door, you could stick 'em on an empty wall in your pantry, on the side of your fridge, or wherever is most convenient for you. Get them on Amazon for $9.87. 29. A set of six stackable drawer organizers ready to whip your junk drawer into shape once and for all. 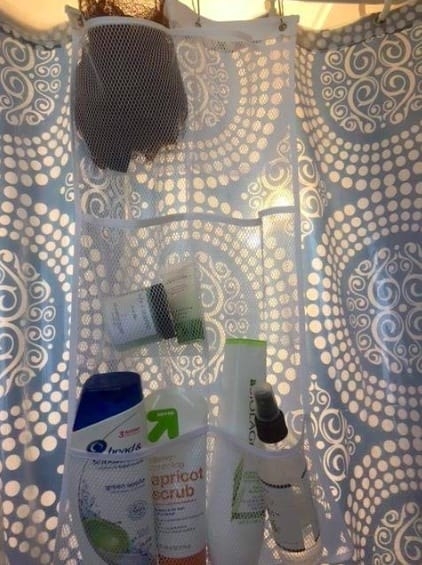 Of course, true to any versatile product, these work wonderfully for bathroom drawers, kitchen drawers, office supplies, and any other cluttered places lurking around your home. Get the set of six on Amazon for $14.99. 30. 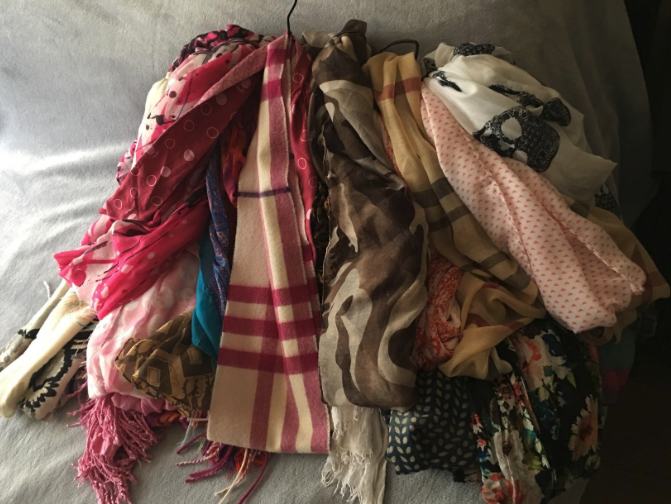 A pack of Space Bags that will instantly make exponentially more space in your linen closet or garage by shrinking clothes and linens down to a fraction of their regular size. They work with basically any vacuum cleaner, which means this particular transformation only takes a few minutes from start to finish. Promising review: "I was desperate to get more closet room and decided to give this product a chance. What a success! The bags are made of thick, quality plastic. It is very easy to seal and to vacuum. Plus it stays sealed and I actually needed only some of the bags, as they are truly big. 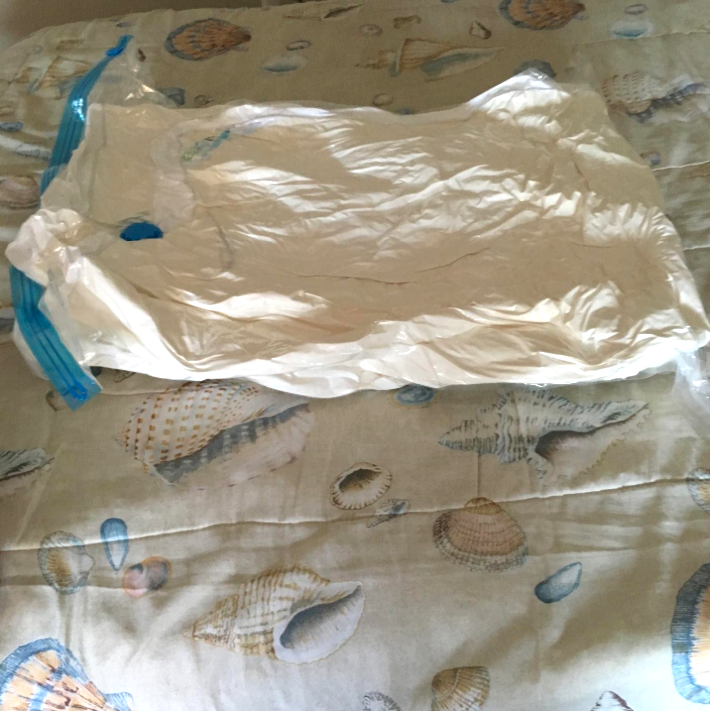 I placed a dryer sheet in each sealed bag to keep the clothes smelling fresh. My closet looks so well organized, I have much more room and my winter clothes are stored safely and beautifully. 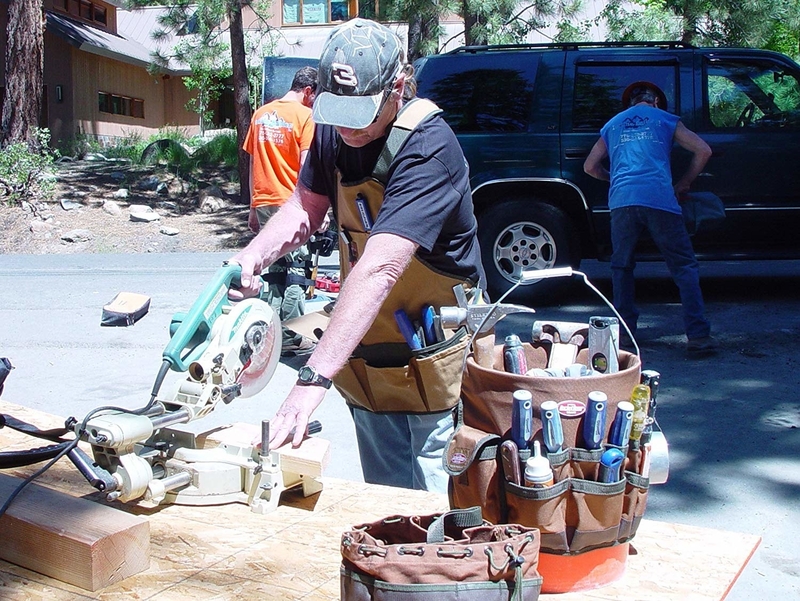 For the supreme quality product you get, it is, in my view, very reasonably priced." —A.A. Get a box of five bags on Amazon for $23.99+ (three sizes). 31. 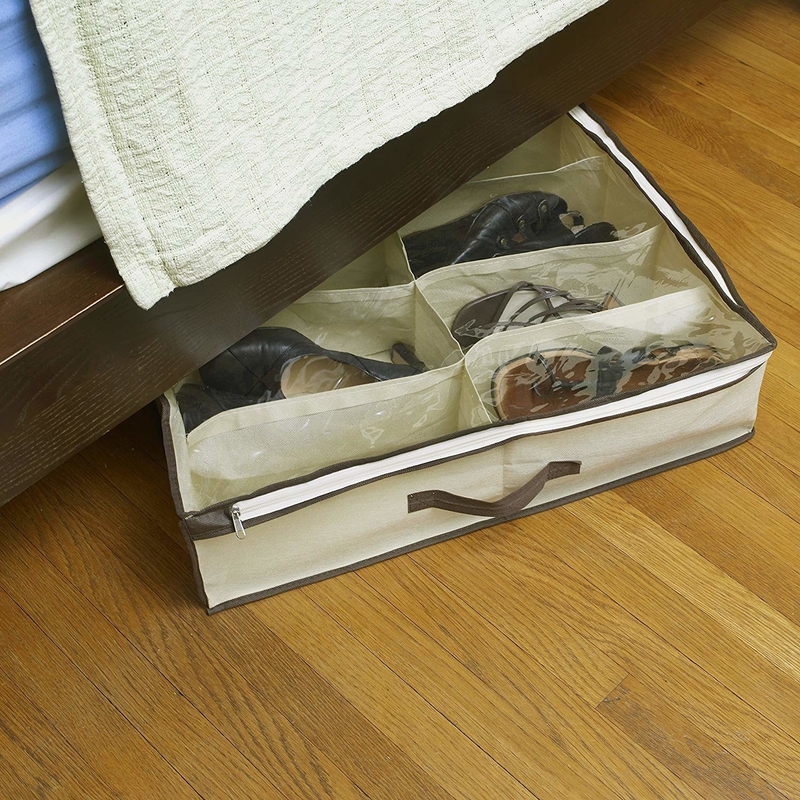 An under-bed shoe tote to free up a little extra closet space without having to get rid of even a single favorite pair. Plus, you can still easily access the ones you stored simply by sliding the case out using the handle. Get it on Amazon for $12.39. 32. 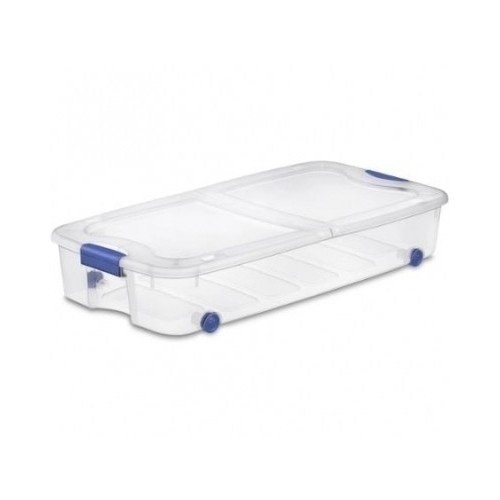 Or a pack of four plastic storage bins on wheels that also feature a hinged lid that opens halfway — meaning you don't have to pull the entire thing out to access what you have stashed inside. Get the pack of four on Amazon for $64.71 (or about $16.17 each). Now go forth and make Leslie Knope proud!